Orlando’s Walt Disney World and Universal Studios attractions earn it the title of Theme Park Capital of the World and make it one of America’s most visited cities. Once you’ve ridden all the rides, head for the water on Cocoa Beach, or dive into America’s space program at the Kennedy Space Center in Cape Canaveral. With beautiful weather year round and plenty of performance opportunities to match it, there’s no bad time to tour Orlando. Play Orlando’s Citrus Bowl or head to nearby Tampa for the Outback Bowl. 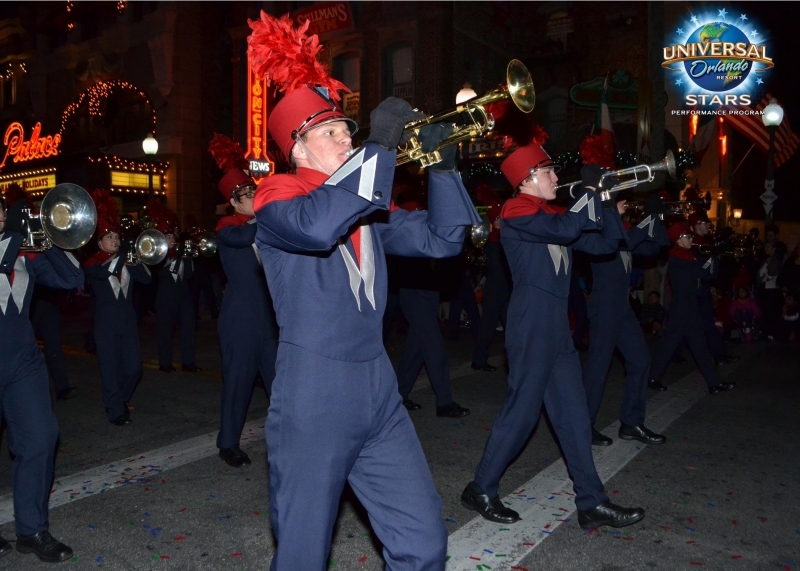 Perform at Universal Studios in Macy’s Holiday Parade or the Mardi Gras Parade, or get involved in one of Disney’s numerous performances and festivals. There’s music to be made in O-Town! Kennedy Space Center: You don’t need a theme park to find thrills. Just an hour from Orlando, you can blast off into Kennedy Space Center. Learn about Space Shuttle Atlantis next to a replica of Space Shuttle Atlantis and find out about the race to the moon while touching an actual moon rock. Real life is plenty exciting when it starts with a countdown and sends you into orbit. Universal Studios Orlando: Universal Studios brings to life your favorite movies with exciting rides and attractions, blah, blah, blah, you’re too grown up for theme parks. Fine, but at Universal Studios Orlando you can visit Hogwarts and drink Butter Beer like a real wizard at the Wizarding World of Harry Potter. Still too grown up? We didn’t think so. Expelliarmus!